The internet has been buzzing since Lucy Flores, a former candidate for Nevada Lieutenant Governor, recounted an incident with then-Vice President Joe Biden. According to CNN, “Very unexpectedly and out of nowhere, I feel Joe Biden put his hands on my shoulders, get up very close to me from behind, lean in, smell my hair and then plant a slow kiss on the top of my head,” Flores said. “What I am saying is that it’s completely inappropriate, that it does not belong in any kind of a professional setting, much less in politics,” Flores said. 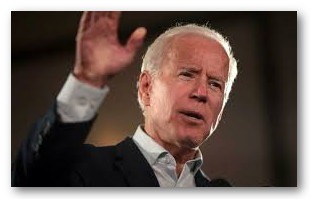 In a statement, Joe Biden said, “In my many years on the campaign trail and in public life, I have offered countless handshakes, hugs, expressions of affection, support and comfort,” Biden said in a statement. “And not once – never – did I believe I acted inappropriately. If it is suggested I did so, I will listen respectfully. But it was never my intention.” In a later statement he said he “gets” that social norms have changed, and he will be “more mindful” about personal space. This behavior has not been unusual for Biden. You can go online and find dozens of clips of him stroking the hair or whispering in the ears of women and girls. Some of these women have come forward and said they welcomed his conduct. There are also dozens of pictures of him hugging, touching and holding men—though none that I could find of him stroking their hair. Ms. Flores did not accuse Biden of sexual harassment. But is it? What if someone at work did this to women employees? As we cover in our programs on Respectful Workplace, behavior must meet four factors in order to be illegal. Is it sexual or sexist? If a person treats men and women differently, by definition that’s sexist. Is it unwelcome? None of these women or girls asked to have their hair stroked, and you can see many of them turning away. Beyond that, as a matter of general civil law, a battery is any unwanted touching of a person’s body. There is a presumption that people do not want others to touch their bodies. Touching the hand, arm or shoulder may be socially acceptable (until someone says stop or pulls away). But touching hair is more intimate and should be presumed unwelcome. Is it severe or pervasive? If it’s severe, once is enough. Given the way the courts generally have ruled, touching hair is unlikely to be considered severe. But if a co-worker or boss does it repeatedly, it would be pervasive. Did the employer know, or should have known? If the boss was stroking hair, this factor is automatically met. If it was a co-worker who was doing it openly, or a woman complained and nothing was done, this factor also is met. What this means to you: Whether or not stroking hair, putting hands on shoulders, kissing the back of the head, or similar behavior is illegal will depend on the facts of the case and in what state it is brought. But companies can set their policies at a higher standard than the law. Companies can prohibit unwanted touching, no matter who or what is touched. Or as we learned in kindergarten, keep your hands to yourself! Rita M. Risser Chai is the founder of Fair Measures. An attorney in California for 20 years and now an attorney in Hawaii, she authored the Prentice Hall book, Stay Out of Court! The Manager’s Guide to Preventing Employee Lawsuits. 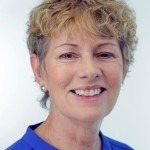 She developed most of the curriculum used by Fair Measures, created the firm’s first website praised in HR Magazine, and wrote numerous articles on employment law including one on best practice harassment prevention training published in the magazine of the American Society for Training and Development (now ATD). She taught Law and Human Resources at the University of California, Santa Cruz, for eight years, and has presented four times at the annual conventions of the Hawaii Society of Human Resource Management.